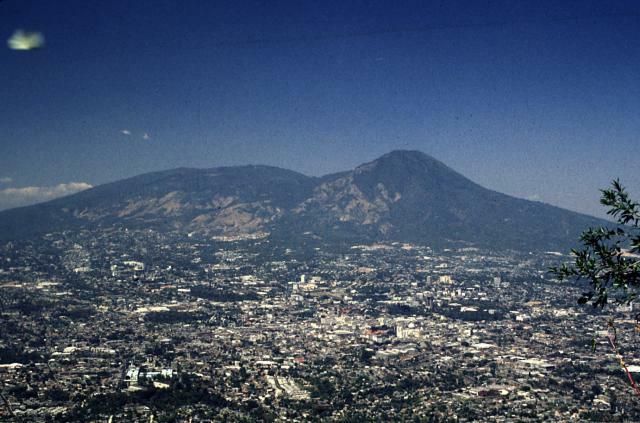 The San Salvador Volcano, also known as the Volcán San Salvador, is a large stratovolcano that dominates the western portion of El Salvador's capital city of San Salvador. According to the Smithsonian’s Global Volcanism Program, four major eruptions have occurred since the 16th century with each of them spewing more lava from its slopes than the crater itself. Considering that so much of San Salvador is located on its slopes, any major eruption would certainly cause catastrophic destruction and incredible loss of life. Fortunately, the entire volcanic complex remains quiet and any geological activity is closely monitored. The volcano consists of three major peaks: Jabalí, Picacho, and the well-known El Boquerón, which includes a steep-walled crater. The Jabalí and Picacho peaks are actually the remnants of a 3.75-mile wide caldera that dates back approximately 50,000 years. El Boquerón originally grew much higher than the caldera's rim but lava flows eventually smoothed out its appearance into its current profile. 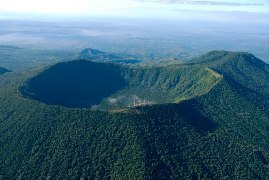 The crater of El Boquerón even once included a small lake, but after an eruption in 1917, it was replaced by a miniature cone that can still be viewed by visitors today. The three peaks are situated within El Boquerón National Park that was beautifully renovated in 2008. 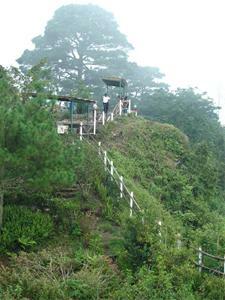 It is approximately a 30-minute drive from downtown San Salvador. For those traveling independently, the best way to get to the park is by driving to Santa Tecla via the Pan-American Highway. From there, head due north of town on the road toward Cantón El Progreso. The entrance to the park is located just outside of the town and it is a 20-minute hike to the summit. The park is open every day from 8 a.m. to 5 p.m and admission is a reasonable US$1 for adults but free for seniors and children under eight years of age. When visiting the volcano and its peaks, it is important to be aware of your surroundings at all times. Reports of robberies and assaults have occurred due to the park's secluded paths. Always travel in groups and leave any expensive belongings behind. In my opinion, it is best to hire a guide or travel with a reputable tour company based in San Salvador. They are affordable, extremely knowledgeable, and they always have the safety of each of their guests in mind at all times. Much like other volcanoes in Central America, the altitude and time of day can greatly affect the overall temperature. So plan accordingly when visiting the volcano and bring layers of clothing because the average temperatures can range between 64 to 72 degrees Fahrenheit during the day and as low as 45 degrees F at night. El Boquerón - Meaning "wide mouth", this volcano has an elevation of 6,200 feet and a crater that was formed after a major eruption back in the 13th century. The crater itself is about one-mile wide and 1,600-feet deep. For those who enjoy hiking, there is a clear path down to the bottom of the crater. The summit offers spectacular views of the city of San Salvador and (on clear days) Lake Ilopango, which is the second largest lake in the country. Boqueroncito - El Boquerón once held a crater lake but on June 10, 1917, the waters began to boil after a series of small eruptions began four days earlier. By June 28, the lake was gone and this miniature cinder cone (seen in the photo above) had formed on the crater floor. It can still be seen today. 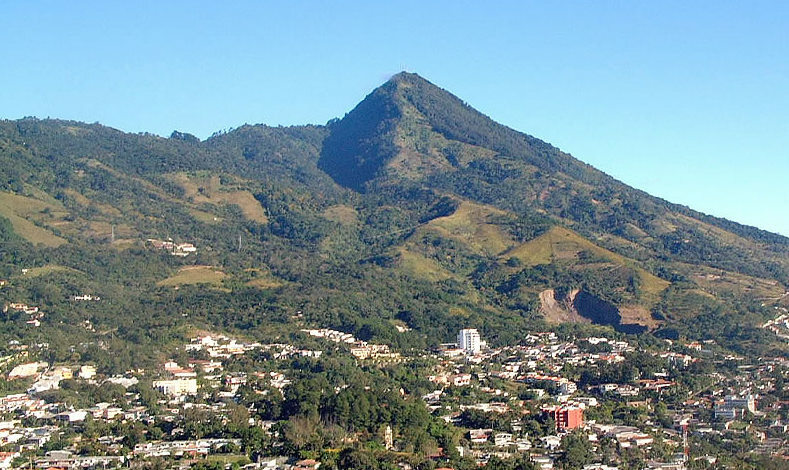 El Picacho - As seen in the photo to the left, this peak is the highest in park, with an elevation of 6,430 feet. Located northeast of El Boquerón, it is one of the rims of the 3.75-mile wide caldera. The western edge of the city has expanded well into the base of the hill even though there is always the possibility of future eruptions. El Jabalí - This 4,265-foot peak is one of the other rims of the caldera and it is located on the northwestern side of the main crater. More isolated than its counterparts, it is the least visited attraction within the park. But for adventurous hikers, it offers a different vantage point of the volcanic complex. Lookout Points - There are five different lookout points that provide views of the main crater, Lake Ilopango, and even as far as the Izalco Volcano in western El Salvador. In addition to the spectacular views, hiking to the lookout points also provides opportunities to see a variety of wildlife that range from the Torogóz (the national bird of El Salvador) to countless species of butterflies. Of course, the more adventurous visitors can take the two-hour hike around the crater’s rim. Eva Tours - (www.evatours.travel) in San Salvador, this company offers a combination City Tour and San Salvador Volcano tour. After a convenient hotel pickup, the tour travels through the historical center of San Salvador with stops at the Metropolitan Cathedral, the National Palace, the National Theater, and the headquarters of the National Civilian Police. Afterwards, the tour continues to the San Salvador Volcano and includes a hike to the El Boquerón crater. Round-trip transportation and a bilingual guide is included in the price. 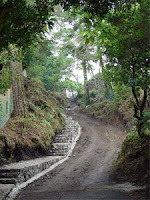 Explore El Salvador - (www.explorelsalvador.com) This tour includes a four-hour guided hike of the volcano in a counter-clockwise direction around the rim followed by a picnic lunch. The tours depart at 8 a.m. and return around 3 p.m. Adequate footwear, sun protection, and plenty of liquids are highly recommended.